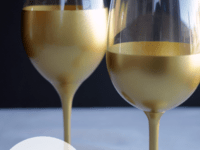 When it comes to enjoying a nice glass of wine, a simple glass will usually do. 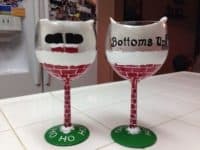 One special occasions and holidays, however, sometimes it’s nice to use glasses that are a little bit fancier or have more of a personal touch. 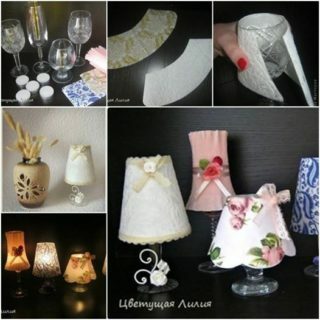 The best way to customized things and make them more personal, however, is to make them yourself! 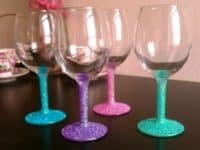 One of our favourite ways to put our own spin on glasses and other dishware is simply to hand paint them in pretty, careful designs. 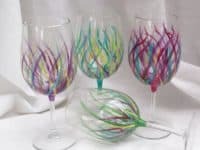 Check out these beautifully hand-painted wine glass designs that we hope will inspire you to try painting some of your very own! 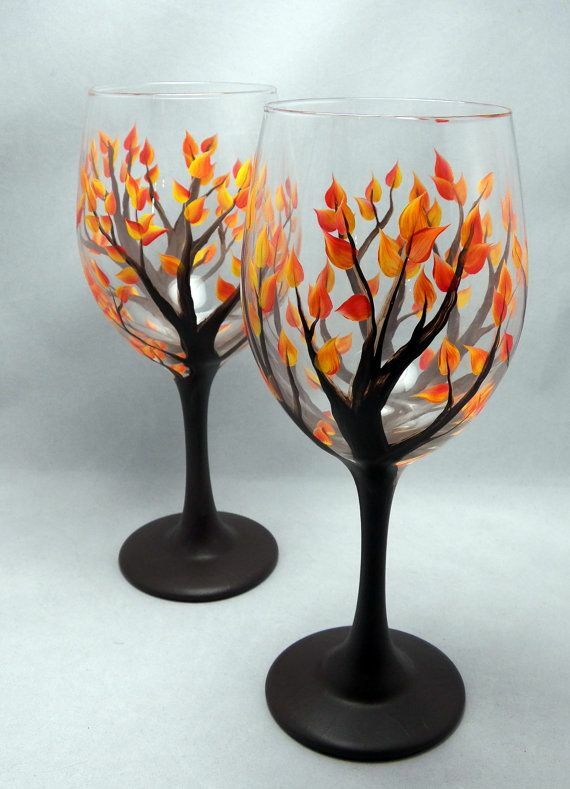 Brushes With a View suggests painting branches with blazing orange and yellow leaves across the surface of the glass where the cup is formed. 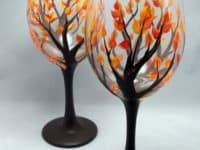 Continue your dark branch colour down the stem and down onto the base to make the glass look like a standing tree! 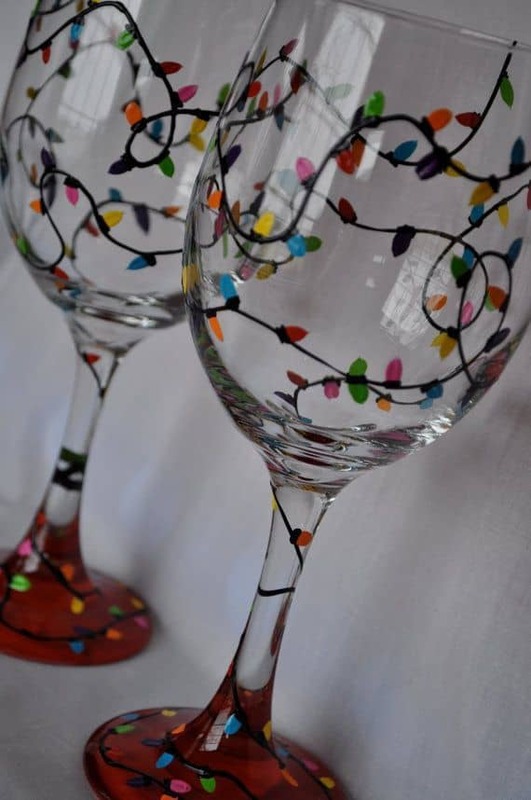 Have you always like the way little coloured Christmas lights glow and blink all different colours? 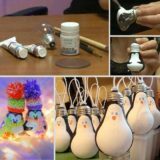 Well, these painted ones might not actually glow, but they’re still completely adorable! 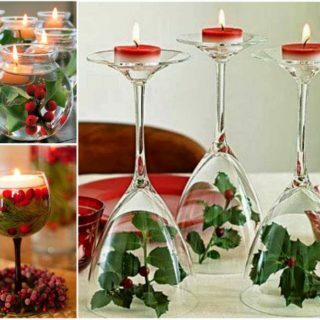 The Spiked Olive paired their painted lights with a glass that already had a red glass base for a little extra Christmas flare. 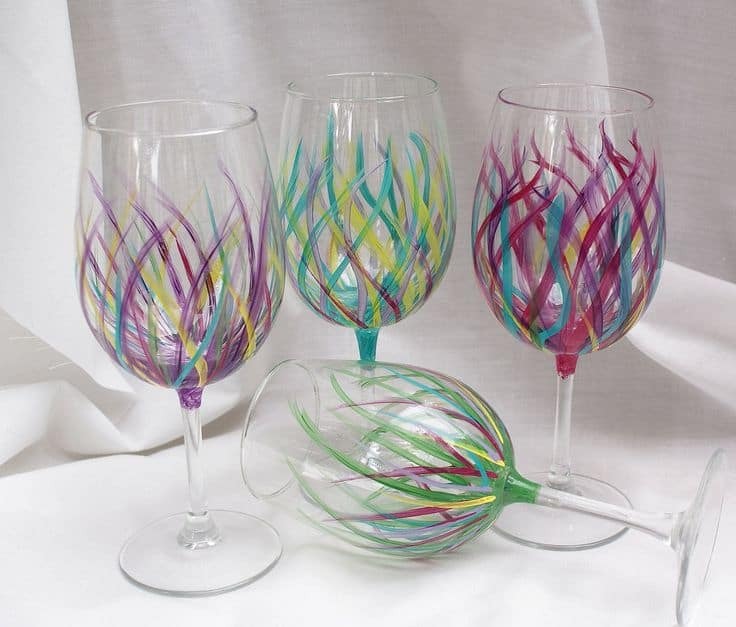 When it comes to stemless wine glasses, you have a little less room for painting, but don’t let that stop you! 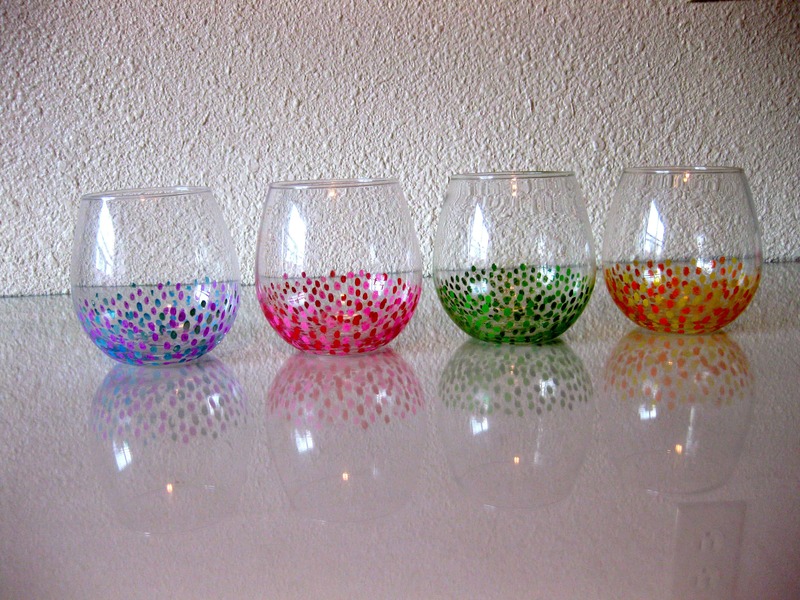 We think these dual shade dotted glasses by Housewife Problem are some of the very cutest ones on our list! 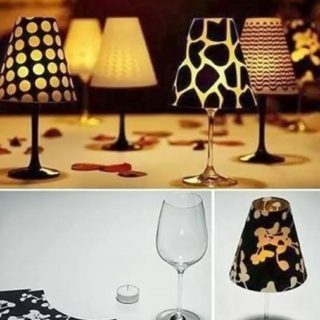 How To Instructions suggests a super simple but very practical paint job for your wine glasses. 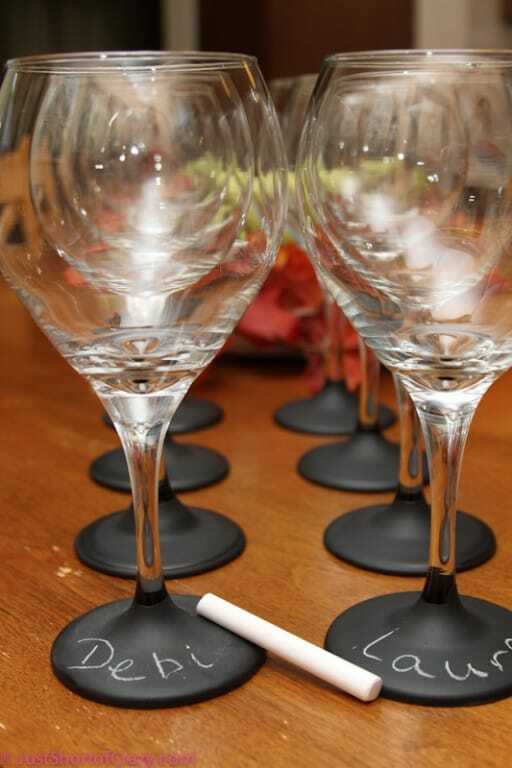 Cover the base of each glass in a layer of black chalkboard paint and, when guests come over, hand them a piece of chalk and let them label their glasses with their names! 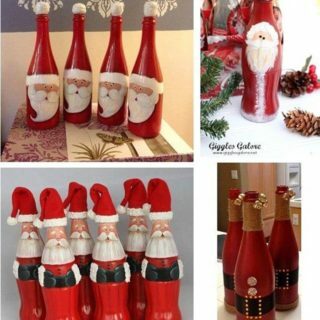 It’s a moment of fun and it stops people from mixing up their drinks. 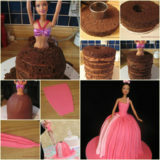 Cupcakes n’ Couture reminds you that just because you’re an adult now doesn’t mean you have to be all dark colours and class! 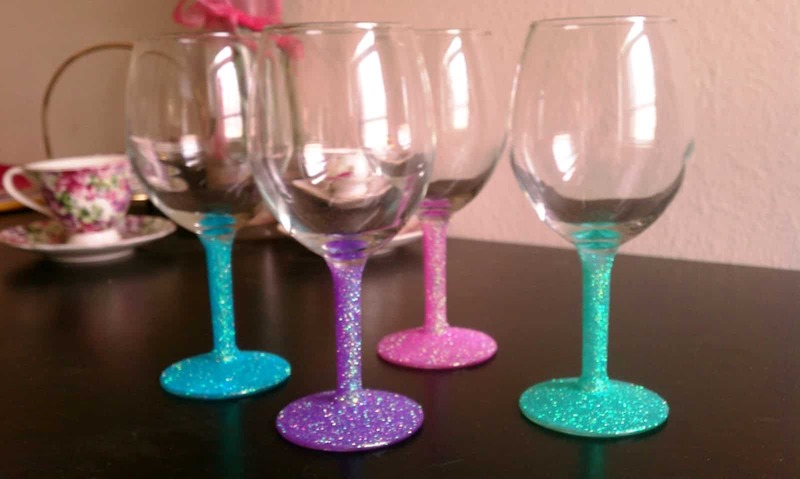 Even grown ups like glitter. 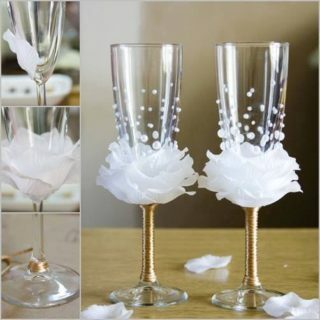 We’re particularly in love with these sparkly pastel glasses stems. 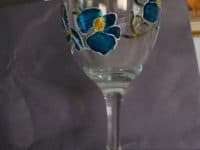 Something Turquoise shows you a glass painting technique that’s a little different than the others on this list! 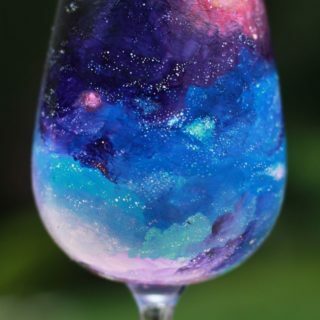 Instead of painting on the outside of the glass so the paint shows up matte against its shine, try covering the inside of the glass with paint instead. 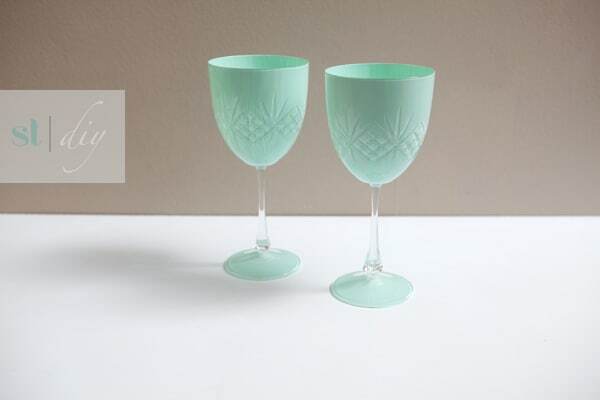 The colour will show through the glass and with a pretty shine. Make the base match by painting underneath! 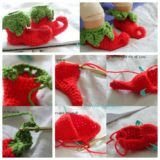 Are you looking for something cute and handmade but a little kitschy to give your coworkers for Christmas? Check out these adorable “Santa down the chimney” themed wine glasses on Pinterest! 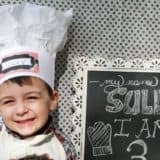 We love that the text is a double entendre. 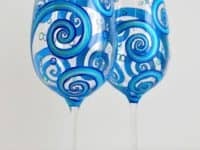 Perhaps you’re looking for a design that’s simply whimsical and pretty, with colours that complement each other well? 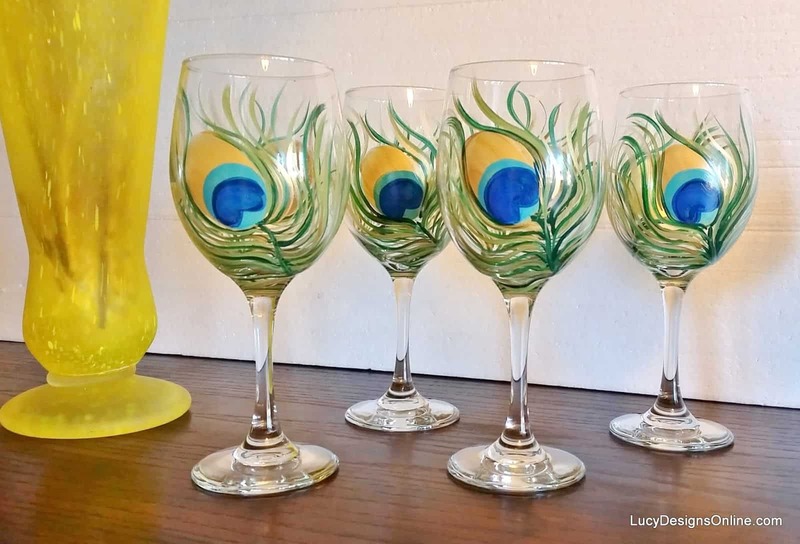 We suggest a design like these gorgeously simple peacock feathers by Lucy Designs! 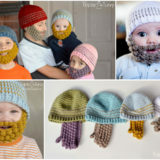 If you prefer purples and blues instead of greens, you might alter the colour scheme however you please. 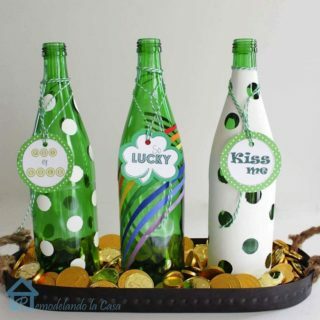 We’ve all hear the saying “not everything that glitters is gold”, but in this case it sure is! 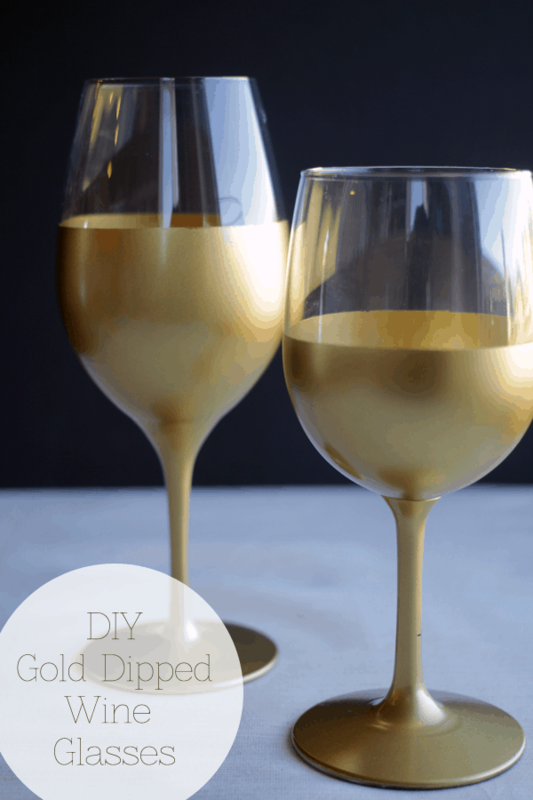 Dipping your glasses into a can of gold paint rather than applying it with a brush gives you an especially smooth finish that won’t show brush strokes. 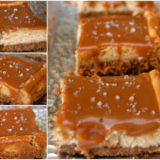 Check out how it’s done on My Honey’s Place. 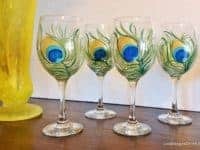 Did you love the wispy, whimsical look of the peacock feather design, but actual feathers don’t necessarily complement your current décor scheme or the theme on the rest of your dishes? 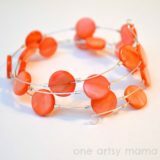 Try this simple waving lines design from My Creative Table instead! 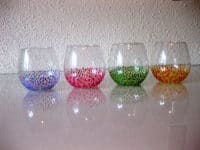 You can create your lines in any colour scheme you please, or include the whole rainbow! 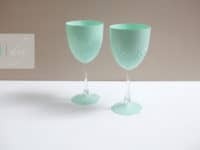 Something Turquoise reminds you that, even though they don’t look quite the same as classic wine glasses, stemless glasses are actually a good DIY opportunity when it comes to painting your own designs! 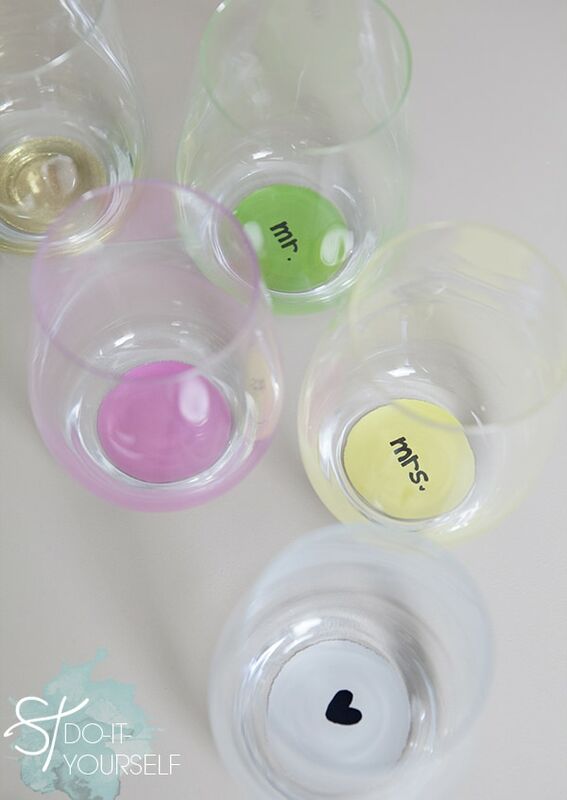 Instead of painting on the outside surface of the glass, paint a little shape or message on the bottom and then layer a background colour over top so the person drinking from the glass will see it each time they tilt it towards their face. 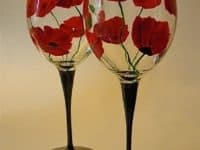 This simple but impactful poppy design from Pinterest is perfect for serving guests a respectful glass of wine on Remembrance day. 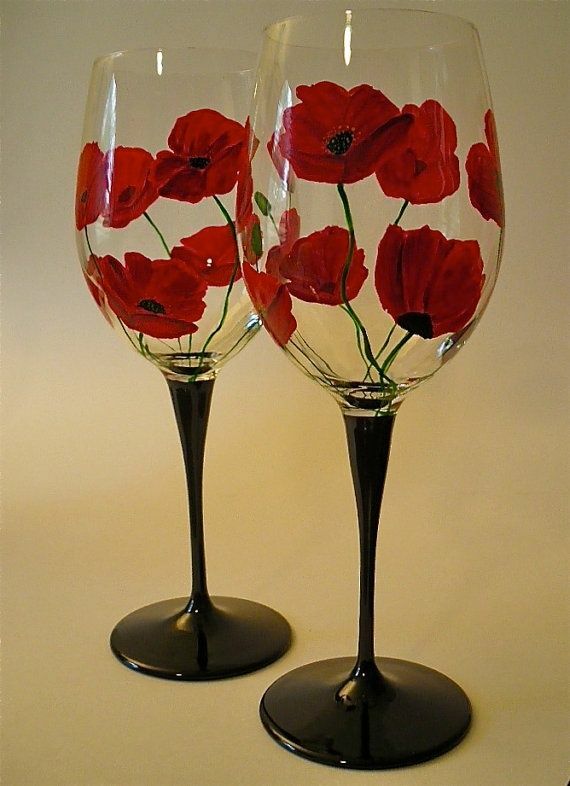 If you’re from a country where poppies aren’t symbolic in November, then perhaps you just appreciate their beauty! 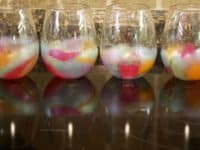 Her Campus suggests using hand painted wine glasses as commemorative dates on a special occasion, like a graduation or an engagement. 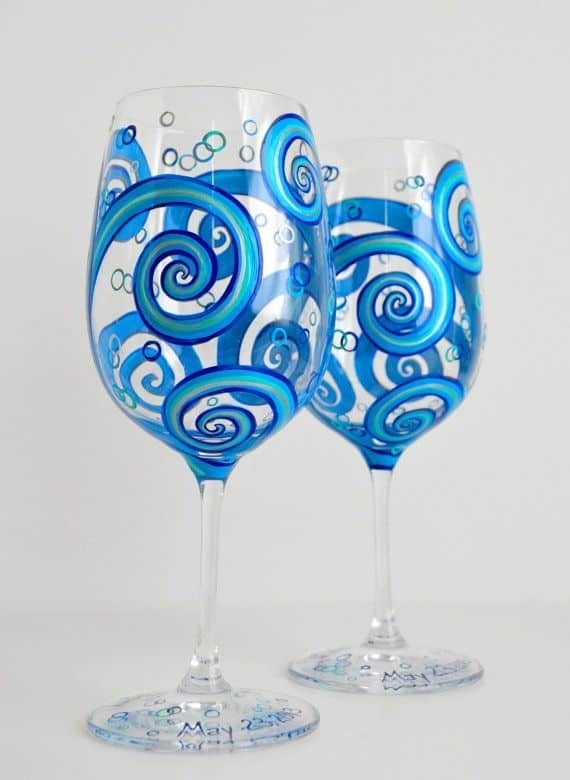 We absolutely adore this gorgeously swirling designs in shades of blue. 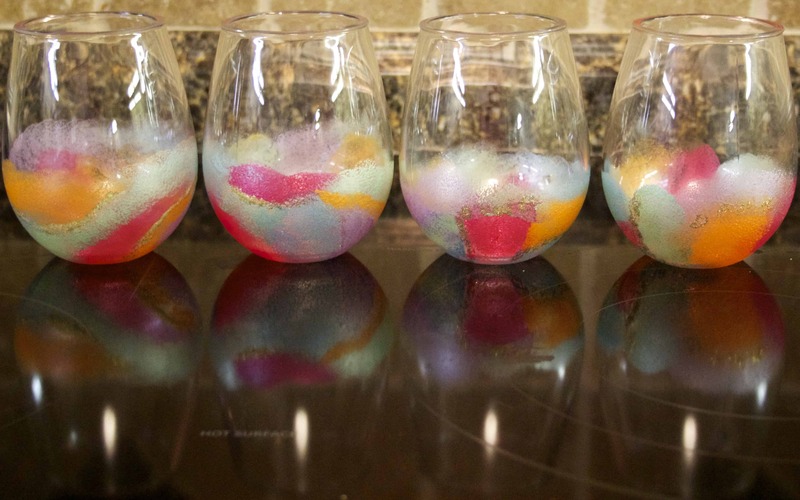 If you’re looking for a design with a little more texture than a more simple painting technique, try sponging bright patches of colour around the bottom of the glass, just like Juicing with Jennifer did here! We love the added dash of glitter for a little extra drama. 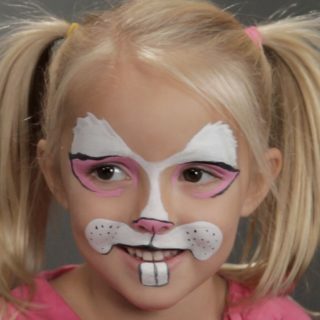 Crafty Cooky suggests creating a simple but very pretty orchid design for spring and summer. 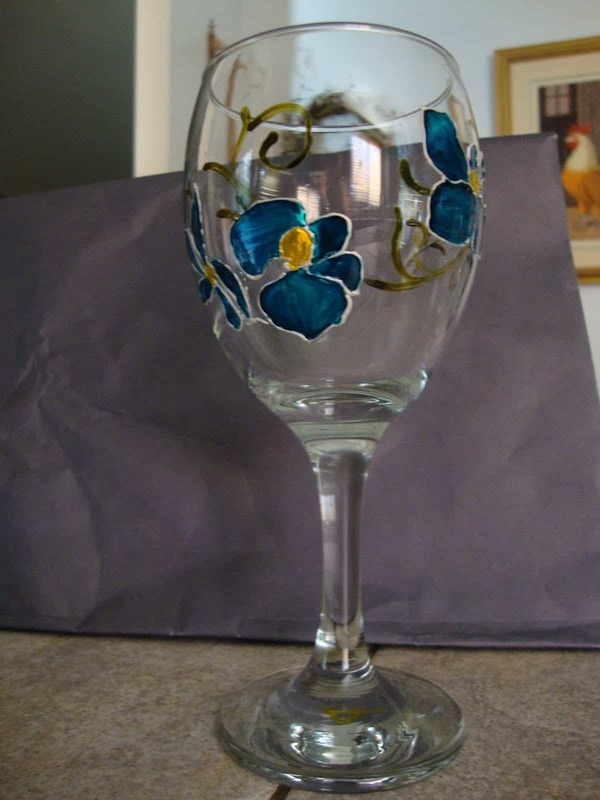 This glass will be perfect when you decide to enjoy a relaxing glass of wine at the end of the day, sitting out on the patio with your own flowers! 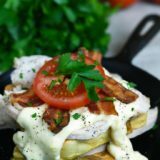 Snack Away: 15 Delicious Sandwich Recipes that Leave You Wanting More! 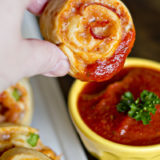 13 Delicious Appetizers for Your Next Awesome Party!